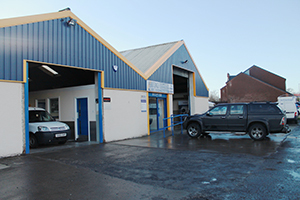 Client had taking over an old metal fabrication work shop, there normal electrical contractor could not complete works within the required time frame. Alpha were asked to strip out building of all redundant cabling & equipment. 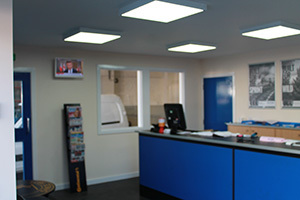 Formation of new reception area including new LED lighting panels. 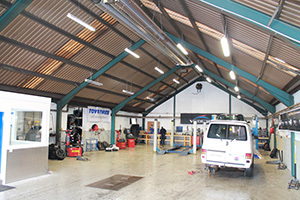 All workshops & tyre storage area required new lights as the building still had old 8ft fluorescent fixtures. 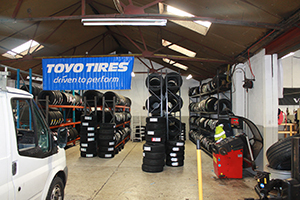 We replaced these with T5 fixture with high polished reflective diffusers. Our security division installed a new intruder system to comply with the clients insurance needs.